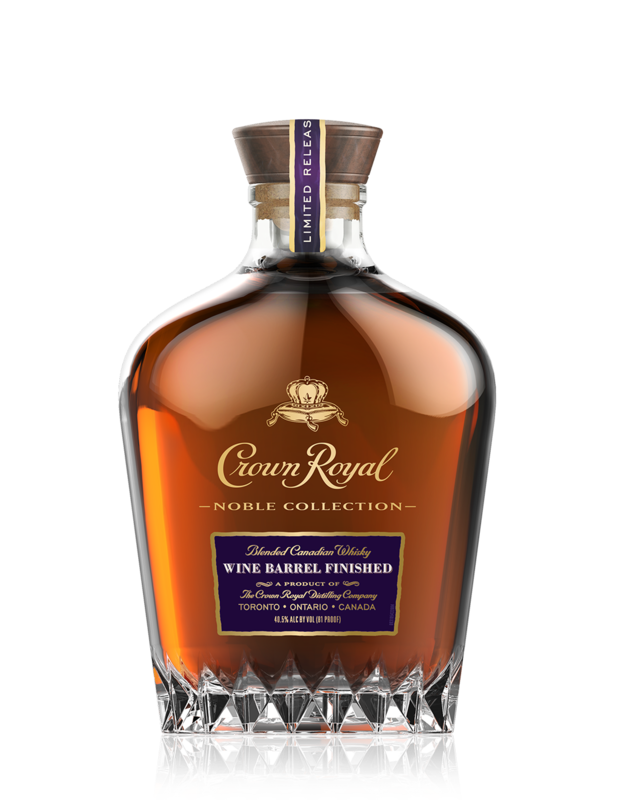 Canadian whisky giant Crown Royal’s newest expression just hit shelves. This second entry in their annual Noble Collection sees a particular blend of Cown Royal whiskies finished in medium toasted Cabernet Sauvignon barrels for six months. I don’t see a lot of whiskies using Cabernet casks for a secondary maturation. The only one that comes to mind is Blood Oath Pact No. 3, which was pretty good. Cabernet Sauvignon is such a full flavored wine that it can easily overpower a whisky’s character. “We experimented with a number of different wines and oak provenances – but ultimately American oak Cabernet Sauvignon best complemented Crown Royal’s signature red fruit notes and velvety mouthfeel for a taste that both whisky and wine connoisseurs will love,” said Jim Ruane, Director of Crown Royal. I had a small taste of this whisky a few months back, and really liked it. Fast forward three months, and I spent a little bit of time with this Canadian whisky for a more thorough tasting. The nose has those familiar Crown Royal notes of maple syrup, toasted oak and creamy vanilla. However, the wine barrel finishing adds an expected fruitiness in the form of red berries, but also gives the whisky a little more spice than usual. Think ground cinnamon. The palate follows the nose rather closely. Waves of caramel and maple syrup build as raspberry jam and baking spices begin appearing midpalate. There’s some vanilla pod that begins showing up along with a slightly drying oak. The medium finish features some sweet red fruits and oak spice.